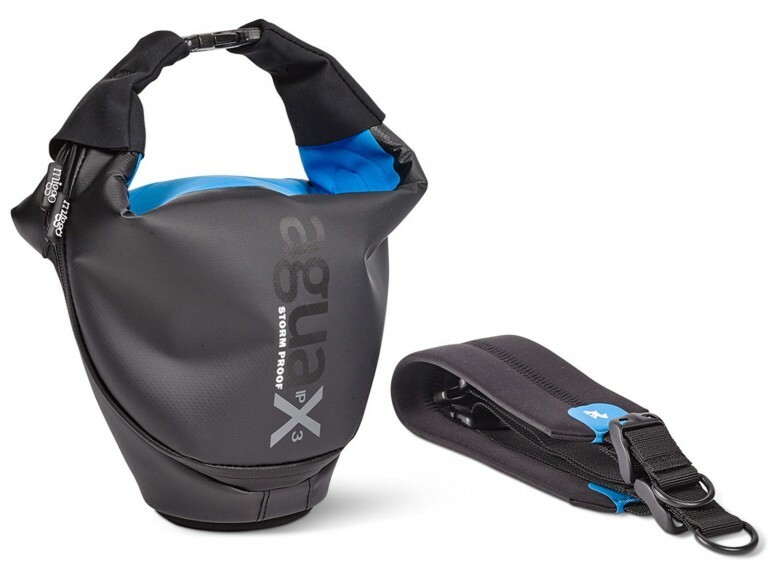 The designers of the Agua bag say it will keep a camera and small lens dry in any weather. When a camera bag claims to be water resistant, it feels a little like the brand is hedging its bets. It will protect your gear up to a point. But the designers at miggo have a bag they declare confidently is storm-proof and all-weather. They even say with certainty the ironically named Agua will remain protective for five minutes in rain falling at 10 liters a minute with up to 22,000 pounds of force. If you’re in a Biblical hard rain, you may have bigger problems then keeping your camera dry. miggo just wants you to feel comfortable with Agua if you’re out on a typical rainy day. The Agua is suitable for any outdoor adventure. miggo, the new camera case company made up of designers from Kata, are looking for funding on Kickstarter and with 33 days to go, is less than $700 away from its $20,000 goal. The Agua is on track to be miggo’s next big product. 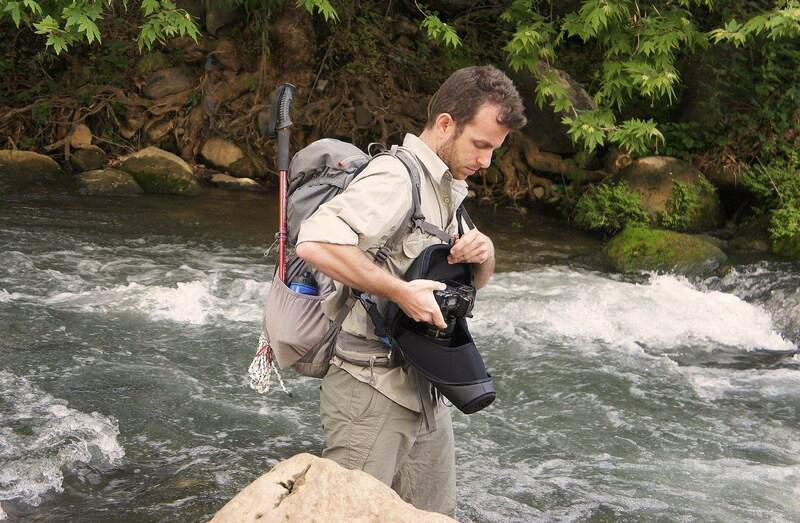 Shortly after forming in 2014, the company based in Abu-Gosh, Israel ran a successful Kickstarter campaign for its first products, the Strap&Wrap and Grip&Wrap, camera straps that morph into a protective cover. The new carrier with the Spanish name for water is a double-layered, quick-draw carrier that safeguards a camera from both impact and wet conditions, like rain, snow or traipsing through streams and waterfalls. The Agua also acts as the camera strap, allowing the photographer to peel back the cover while staying around the neck or on shoulder. The black and blue bag comes in three sizes, the small for mirrorless/compact cameras for $45, a $55 model for medium-sized DSLR camera and the Agua 45, fitting large pro DSLRs for $65. The bag will only accommodate a camera and short lens, and while it held up to international measurement standards for weather-proof material, the designers do not recommend shouldering it when you swim with dolphins.